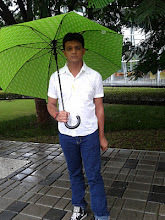 Hardik is computer engineer in rajkot,india. 1. fiexd charge per month. 3. send your Ads. 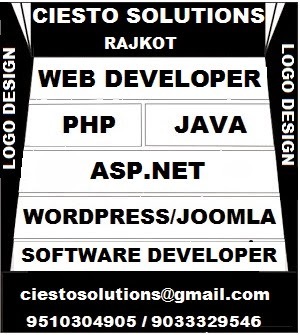 to above e-mail or contact to my no. 4. your Ads size : any size. flash file is allowed. This is a good computer science final year project report on "rich internet application for weekly automatic college timetable generation". This project is submitted in partial fulfillment for the degree of bachelor of Engineering in Computer Science and Engineering. This project introduces a practical timetabling algorithm capable of taking care of both strong and weak constraints effectively, used in an automated timetabling system. This project reduces the overhead on server of rendering client’s UI components and makes room for processing time of Timetable Generator Algorithm. Timetabling Algorithm is main component of this project which produces the HTML based weekly timetable sheet as the output. 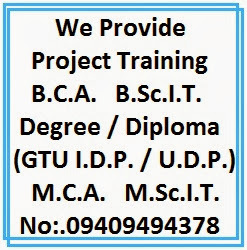 Our project takes various inputs from the user such as Teacher List, Course List, Semester List, Room List, Day List and Timeslot as well as various rules, facts and constraints using web based forms, which are stored in XML based knowledge base. This is AJAX based project and report contains working, source coding, diagram of the project. Use it for your reference and study work. This is good Master level project on "Portable Media Player (POMP)which was submitted for the partial fulfillment of 3rd Year of Master of Technology. Aim of this project are to learn interaction between a desktop and a Bluetooth enabled mobile device, to provide a virtual command prompt on mobile device to perform various tasks remotely, to provide new user experience for music freaks so that they can take advantage of their giant music library (that’s on PC) from anywhere within range of class B Bluetooth (30 feet), to learn about all the technical restrictions that a developer can face while learning mobile development using JAVA. This is a computer science mini project report on "Peer-to-peer (P2P) online communities" which is submitted for partial fulfillment for the award of the degree of Master of Engineering in Computer Science and Engineering. This paper presents PeerTrust—a reputation-based trust supporting framework, which includes a coherent adaptive trust model for quantifying and comparing the trustworthiness of peers based on a transaction-based feedback system, and a decentralized implementation of such a model over a structured P2P network. This is a good Computer Science engineering minor project report on "Device switching using PC’s Parallel Port " which is submitted for the partial fulfilment for requirements for the award of degree of B.Tech in Computer Science. This project aims at controlling different devices at home/industry by using a single PC and could be used to control the printer power, loads & other household electrical appliances. The circuit comprises decoder, inverter, latch & relay driver sections. This is a good computer science project report on "Cold Boot Attack". This project is a Proof of Concept(POC) for capturing memory dumps from Intel x86-64 based PC system. RAM persistence can be exploited using both hardware and software mechanisms. In cryptography, a cold boot attack is a type of side channel attack in which an attacker with physical access to a computer is able to retrieve user's specific sensitive information from a running operating system after using a cold reboot to restart the machine from a completely "off" state. This is a good final year Computer science engineering project report on "Bank Management system" which is based on the powerful tool – Visual Basic 6.0 (Front end) with sql server 7.0 (Backend). This project gives a idea regarding automated bank system. The purpose of this project is to automate the process of day to day activities like New Account Opening, Daily Transactions, and Modification. This is a good Electronics and Telecommunication networks project report on "design of optical switch router". This paper deals with the design of optical switching router. The paper talks about the concepts of all-optical network, dense wavelength division multiplexing and generalized multi-protocol label switching, optical switching technology. Optical fiber has significant advantages compared with the electrical transmission line. This is a good final year Computer & IT engineering project report on "Android Operating system at mobile based search engine and submitted in partial fulfillment of the requirement for the award of BTECH. By this project, a unique search engine was presented for effective searching Of information through mobile interface. The engine adopts three methods for retrieval: two autonomousand one combinational. This is a Master of Science project report on "accelerating ranking system using webgraph" which is submitted to department of Computer Science. Search Engine is a tool to find the information on any topic in the Web. The basic components of a Search Engine are Web Crawler, Parser, Page-Rank System, Repository and a Front-End. In Web graph the Web pages are represented as nodes and the hyperlinks between the Web pages are represented as directed links from one node to other node.. The entire process of generating page-rank using algorithm namely Cluster Rank, Source Rank and Truncated PageRank was automated. The current implementation uses the URL table that contains more than 4 Million URLs. Thanks to author of the project and use this report only for your study and reference work.